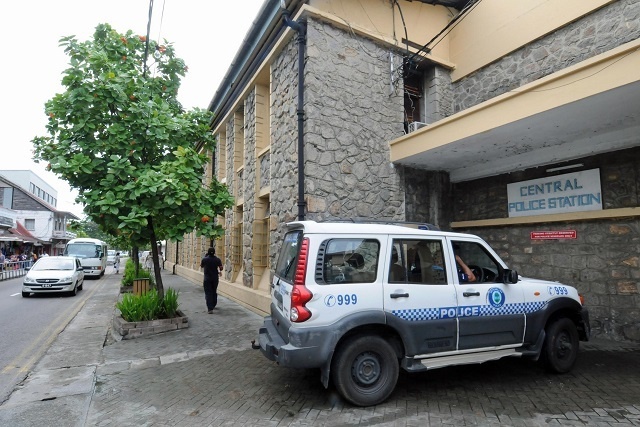 (Seychelles News Agency) - A new police station with a forensic laboratory – a first in the island nation – and a new building for the Attorney General’s office are expected to be constructed in Seychelles through a grant from the Indian government. The grant of approximately $68 million will also be used to build a new government house – to accommodate around 400 government offices – as well as several other community projects. A new state of the art convention centre will be constructed to replace the old International Conference Centre in Victoria. The centre will have convention halls and meeting rooms with capacity to host international conferences, Indian High Commissioner to Seychelles Ausaf Sayeed told SNA last week. All the new infrastructure will be built at Ile du Port, a reclaimed island on the outskirts of Victoria, the capital city of the main island of Mahe. Sayeed said all these new buildings are government priority projects. The grant will cover the cost of construction as well as for basic office equipment and furniture. In his 2019 budget speech to the National Assembly on Monday, Maurice Loustau-Lalanne, Minister for Finance, Trade, Investment and Economic Planning said Seychelles could expect to save around SR 50 million per year in office costs once the project is complete. Currently, the police headquarters is based at the Central Police Station in Victoria. The station on Revolution Avenue was opened in 1948 by the then Governor Selwyn Selwyn Clarke. “The police station will cost $6 million and the sum will also cover the cost of all equipment for the new modern forensic laboratory,” explained the High Commissioner. Several community projects covering all districts in the Seychelles - a group of 115 islands in the western Indian Ocean – will materialise through the grant. “These include multipurpose courts at Marie Jeanne Estate on Praslin and at La Passe La Digue, a playing field at Souvenir La Misere on Mahe as well as access paths, bridges and roads,” explained the Principal Secretary for local government, Marie Celine Vidot. 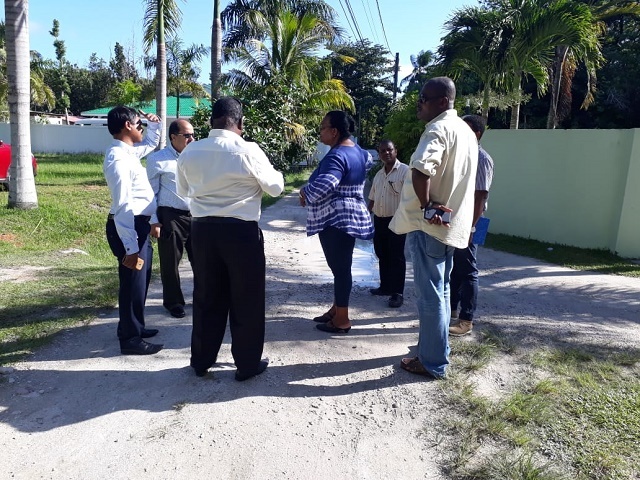 Vidot said that recently the Indian High Commissioner visited proposed projects on Praslin and La Digue – the second and third most populated islands of the Seychelles – to be considered under the grant. “On Praslin, there will be the construction a new daycare centre for the elderly as such facility is not available on the island,” added Sayeed. 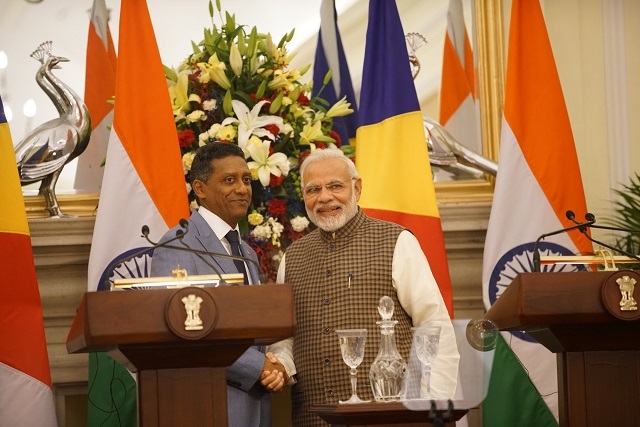 “In his recent visit to India, President Danny Faure signed a landmark agreement for small development projects. This is a concept which India is using with neighbouring countries. We consider the Seychelles as a maritime neighbour and we have extended this bilateral relation to Seychelles as we do with our immediate neighbours,” said the Indian High Commissioner. During his state visit to India in June this year, President Faure signed agreements for a line of credit of $100 million from India. Over 30 projects were submitted to be implemented under the small development projects. These also include renovation of schools, the building of fences and the purchase of mobile libraries. According to Sayeed, the only criteria for the small development projects is that it should not exceed $514 000. The Ministry of Local Government receives a yearly allocation of approximately $2 million from the government budget for community projects. Vidot said that for 2019 the amount will be requested as there are many other projects in all districts including the two villages at Perseverance. “For instance, there are projects such as renovation and maintenance of playgrounds, fencing, the building of railings, bus shelters which are done in collaboration with Seychelles Land Transport Agency, bin sites in consultation with Landscape and Waste Management Agency, as well as the construction of drainages,” explained the Principal Secretary.